The Girls in Green are set to kick off their 2017 FIL Rathbones Women’s World Cup bid on Thursday, 13 July 2017 against New Zealand. 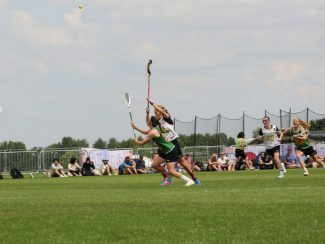 The Women’s National team finished in 10th place at the 2013 World Cup in Oshawa, Canada, falling to Japan in their final game. They fought back in the 2015 European Championship in Nymburk, Czech Republic, taking home 5th place with an 8-4 win over Germany. 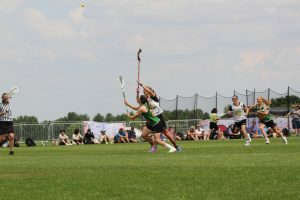 The 2017 World Cup is being held at the Surrey Sports Park, on the campus of the University of Surrey in Guildford, England. 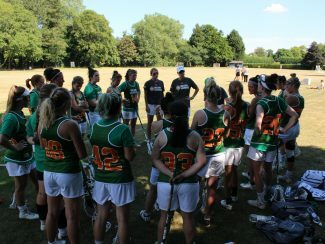 The team spent five days on the field at DCU in Dublin, Ireland, as part of an intensive training camp prior to traveling to England. Once on-campus in Surrey, they had friendly matches with Wales, Germany and their EC15 floor-mates, Italy. Ireland is in Pool E, along with New Zealand, Colombia & Sweden. The full World Cup game schedule, including playoffs, can be found here. There are a number of newer faces on the team, with seven players set to make their first cap in this World Cup: Aoife Branco, Maggie Egan, Sonja Egan, Nicola Kiely, Lucie Poulin, Erin Riley, Emma Whelan. Two players are making their first appearance on the senior team since the 2013 World Cup: Katelin Billups & Dee Swail. 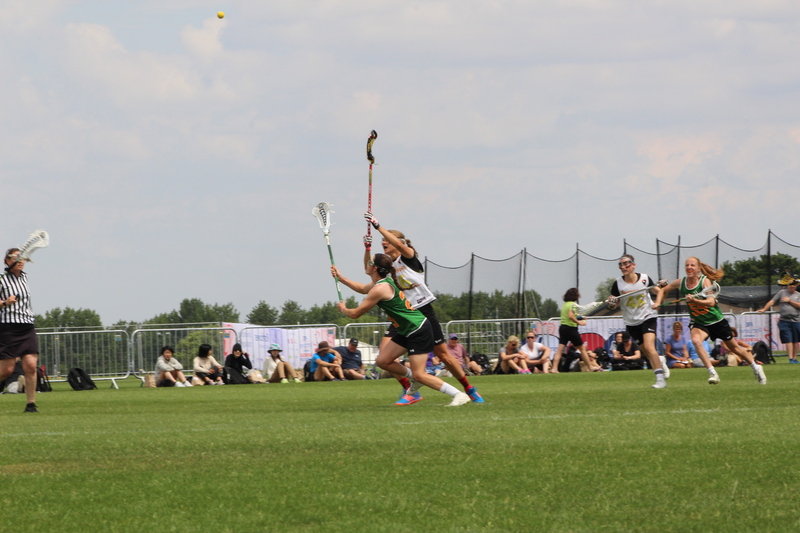 The rest of the team consists of: Nonie Andersen, Ashley DeFlumere, Nadine Fadel, Breada Farrell, Claire Halliday, Rebecca Headon, Schyler Neale, Caroline Peters & Rachel Ward, all of whom played in 2015 Euros. Additionally, the captains, as selected by the team, are: Rebecca Headon, Claire Halliday & Katelin Billups. Games are available via livestream: click here for all information. 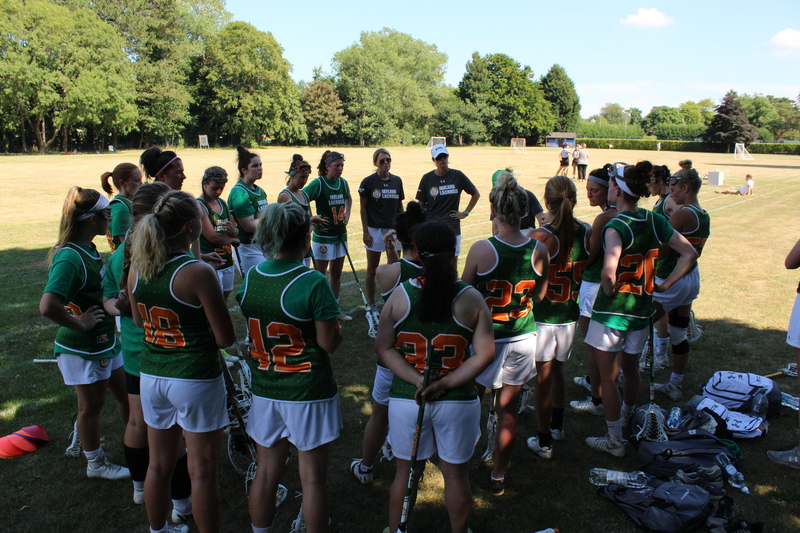 If you are unable to pop out to watch the Green Machine, be sure to check in on our social media accounts: in-game updates will be provided via Twitter – @irelandwlax. All questions & requests can be directed at cconway@irelandlacrosse.ie.